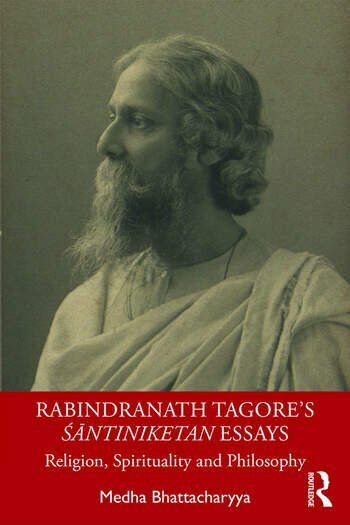 This book provides a critical introduction and translation of fifty Śāntiniketan (Abode of Peace) Essays written by Rabindranath Tagore between 1908–1914. It provides key insights into Tagore’s fundamental meditations on life, nature, religion, philosophy and the world at large. First of its kind, this volume is a definitive collection of Tagore’s Śāntiniketan Essays translated into English which contain a substantial amount of scholarly material on them. The essays look at Tagore’s ideas of universality, his socio-cultural location along with the development of his thought, his reflections on Buddhism, Vaiṣṇavism, Bāul philosophy, the Bhagavadgītā and primarily the Upanishads and their contemporary relevance. It also connects Sri Ramakrishna’s concepts of vijñāna and bhāvamukha with Tagore’s thought through the study of these essays. A nuanced exploration into translation theory and praxis, it fills a lacuna in Tagore Studies by bringing to the fore profound religious, spiritual and philosophical knowledge in Tagore’s own voice. This volume will be useful for scholars and researchers of Translation Studies, Tagore Studies, Language and Literature, Cultural Studies and for general readers interested in Tagore’s philosophical ideas. Medha Bhattacharyya is Assistant Professor at the Department of Basic Sciences and Humanities (English), Bengal Institute of Technology, Kolkata, India. Her areas of interest include Translation Studies, Tagore Studies, Comparative Literature, World Literature, South Asian Diaspora Literature, Postcolonial Literatures, English Language Teaching and Soft Skills.